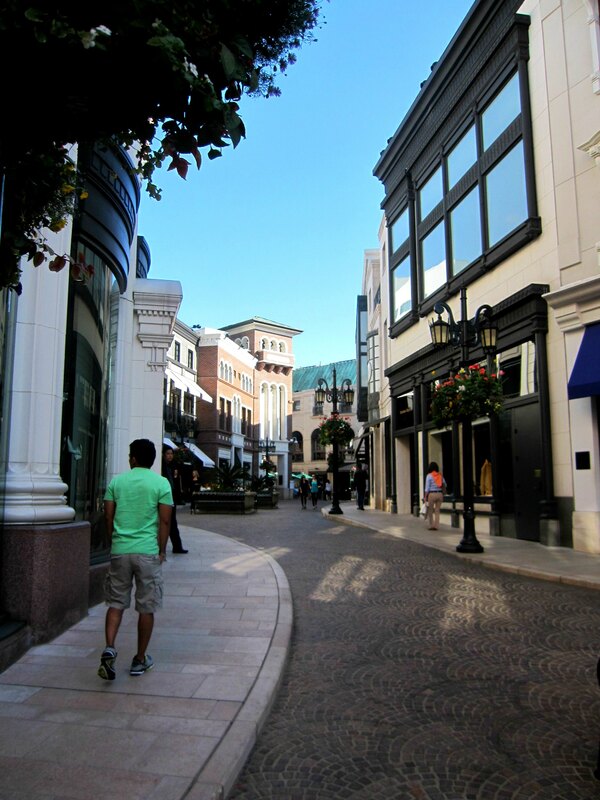 Shopping, desserts and entertainment. These are my earthly holy trinity. These are in some unexplainable reason the silly domains that nurse my worldly psychic ills. These are my lowly carnal religions. 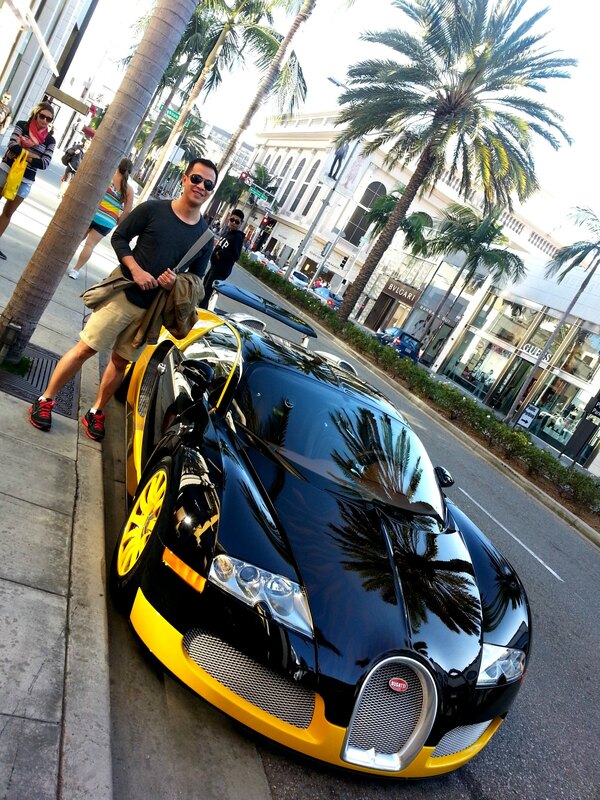 This is why when I was given the opportunity by the heavens to see and walk through the streets of Beverly Hills, I was at an elevated sense of veneration. 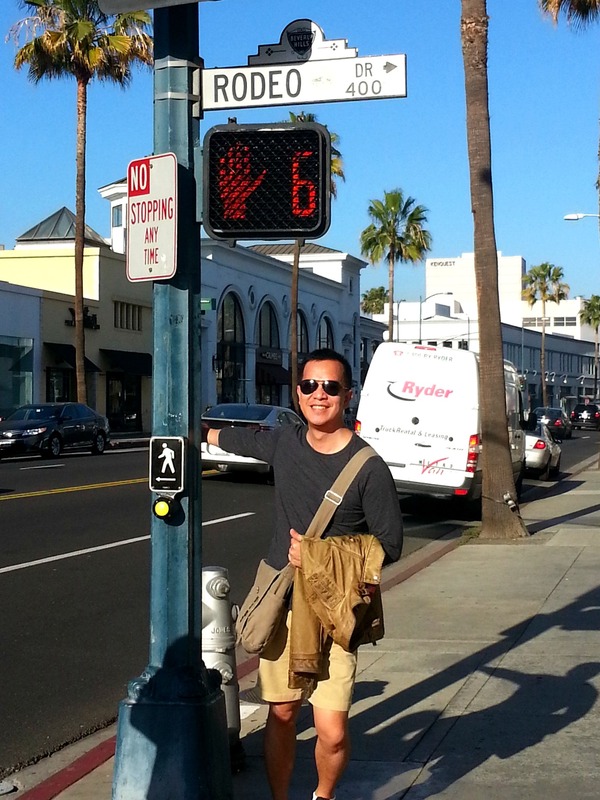 Though my underprivileged wallet could not afford the saintly looking fashion merchandise along Rodeo Drive and Wilshire Boulevard, it felt like I was in the peak of my materialistic pilgrimage to the western shopping mecca. 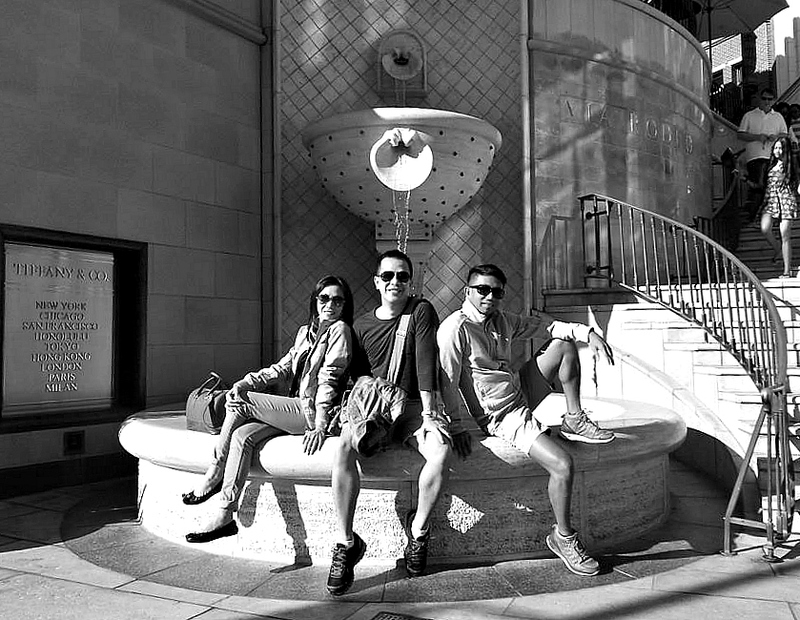 we’re seated at a huge stoup where the unholy water of rodeo drive flows! hahaha! Those glitzy, ritzy and lavish stores looked like blessedly sanctified chapels. While the names Versace, Canali, Prada, Bottega Veneta and Ermenegildo Zegna seem to sound like holy Italian saints. No, I did not do the sign of the cross but when we left the area, something in me was screaming. 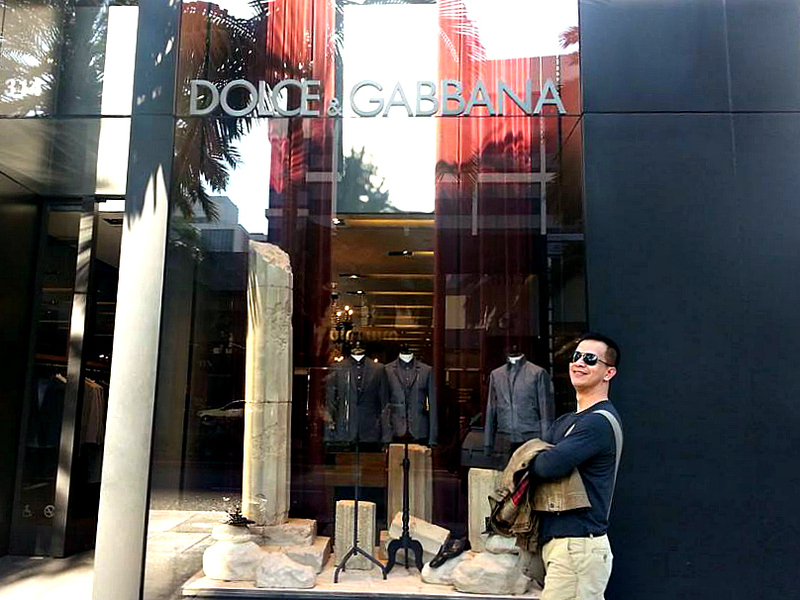 That one glorious day, I will be back and spend a good amount of riches in that dreamy fashionable shopping district. Louis Vuitton is known to be an irrationally expensive leather bag. The most expensive LV bag so far is actually equivalent to a fully furnished 1-bedroom condo unit here in the Philippines. 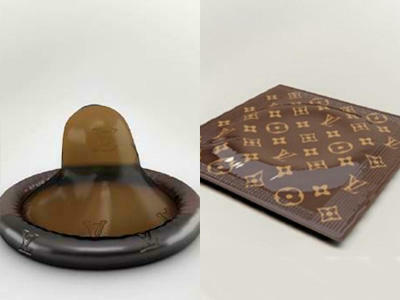 LV actually has diversified in terms of its products. They no longer just vend eclectic leather goods. They also sell timepieces, accessories, apparels, shoes, fine jewelry and even luxurious condoms. After looking into the website of genuine and authentic LV, their fashion house actually has yet to feature one product that is however already circulating here in the streets of Metro Manila. 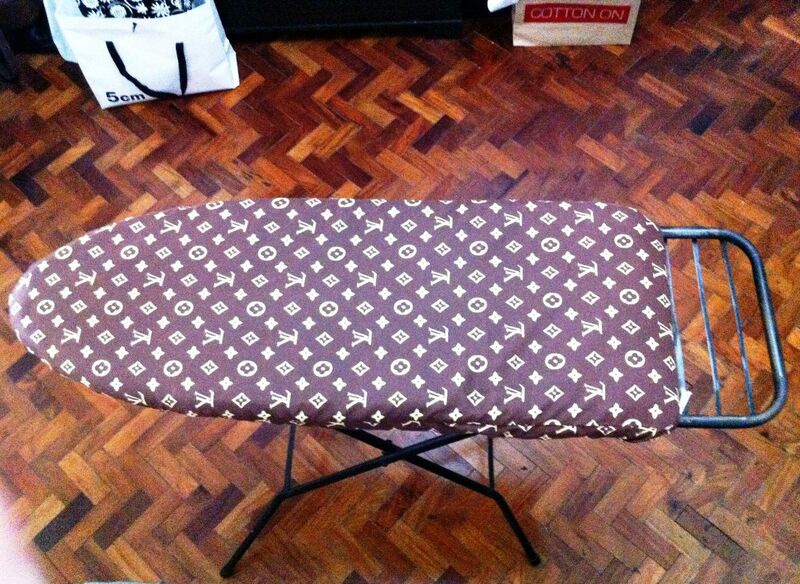 It’s the LV Ironing Board Cover! I purchased myself a piece and replaced the old and grubby cover of my 10-year old ironing board. It snugly fits the wooden plank and gives a perfectly smooth and even ironing surface because of the triple-layer construction. What’s more, unlike the usual LV merchandise, it’s cheap. The toothless street vendor is selling it at 100 pesos (US$ 2.35), but using my impeccable charm in haggling I got it at eighty pesos (US$1.88).